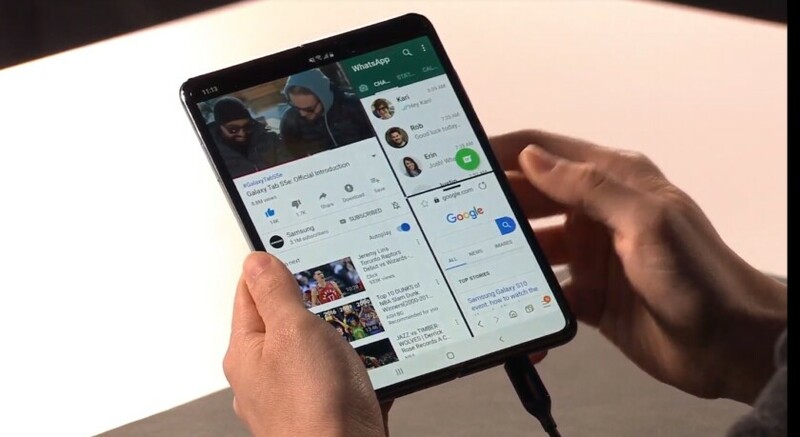 Although Samsung confirmed the Samsung Galaxy Fold would launch in the United States on April 26, the Big Four carriers have been mum on official confirmation that the device would also land in their stores. Today, however, T-Mobile revealed that it will carry the Samsung Galaxy Fold both online and in “select” stores (T-Mobile did not clarify which stores, but it’s likely to only be major flagship shops in huge cities). T-Mobile will begin selling the Samsung Galaxy Fold online on April 25, 2019, at 9:00 PM PT (which is essentially the first minute of April 26 in Eastern Time). Both T-Mobile’s press release on the matter as well as the mini-site it’s set up for the Galaxy Fold don’t reveal the pricing of the device. We know that Samsung announced the retail price of the Fold as $1,980, so it’s possible T-Mobile will simply honor that price. We reached out to T-Mobile for comment on the price as well as any subsidies the carrier might offer. We’ll update this article should we hear back. Regardless of what you pay for the Galaxy Fold at T-Mobile, you’ll definitely get two freebies: a carbon fiber case as well as a new set of Samsung Galaxy Buds, its latest set of true wireless headphones. Those perks are the same as what Samsung is offering for buying the Fold directly from its own online store. The Galaxy Fold will have access to the 600MHz band, which as of now only T-Mobile offers. This means that you might get better connectivity to certain network towers when using the Fold on T-Mobile in rural areas as compared to using the Fold in the same areas on other carriers. Are you a T-Mobile customer planning on buying the Samsung Galaxy Fold? Let us know in the comments!